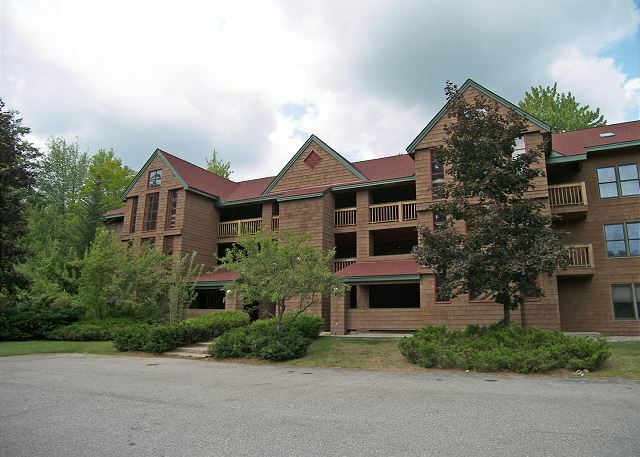 A three bedroom, two bath garden-style condominium at Deer Park Resort. 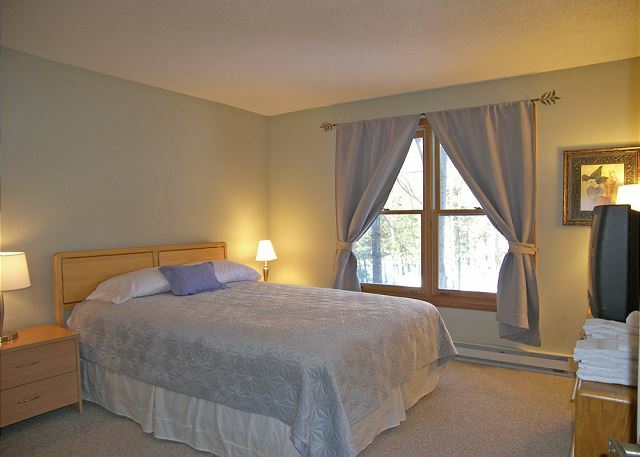 Enter this second floor condo through the foyer and step in to the spacious main living space including full kitchen with microwave and dishwasher, dining area with seating for six to eight and living area with wood burning fireplace and flat screen television. 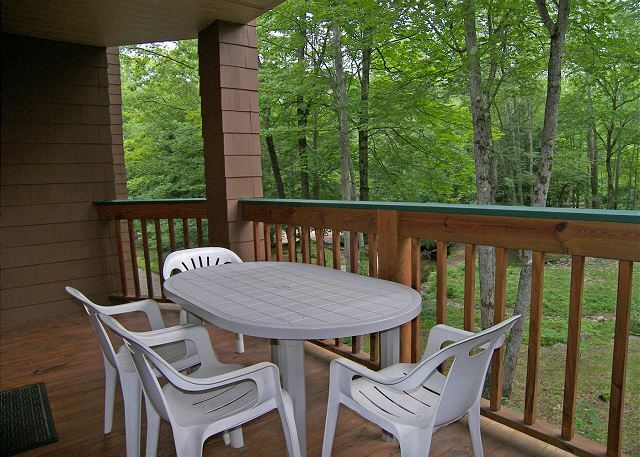 From the living area access the back deck where you can relax at the table and enjoy the river view. 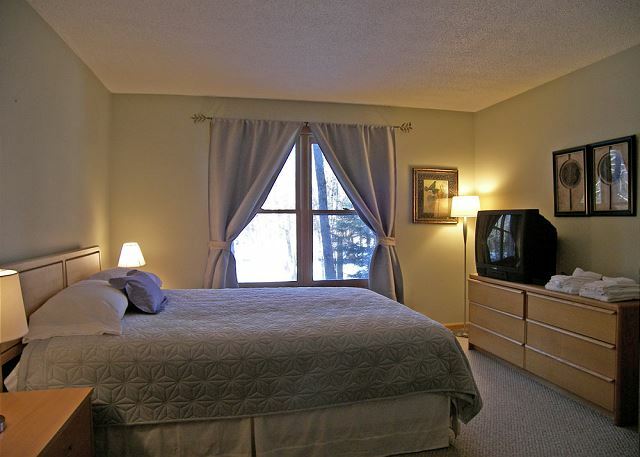 To the left of the main living area is the master bedroom suite with queen bed, television, full private attached bath and river view. 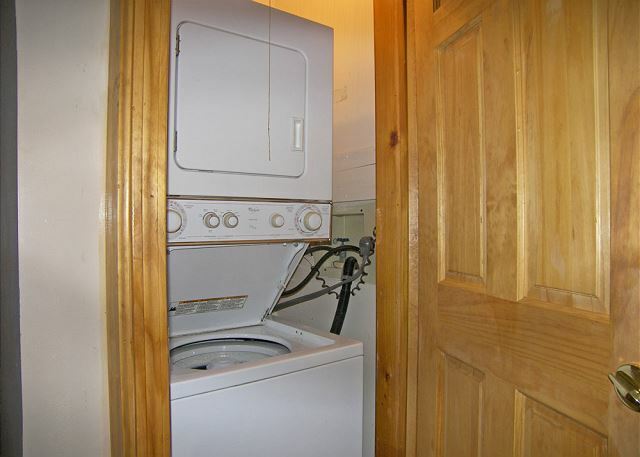 Just outside the master bedroom is the laundry closet with stacked washer/dryer. 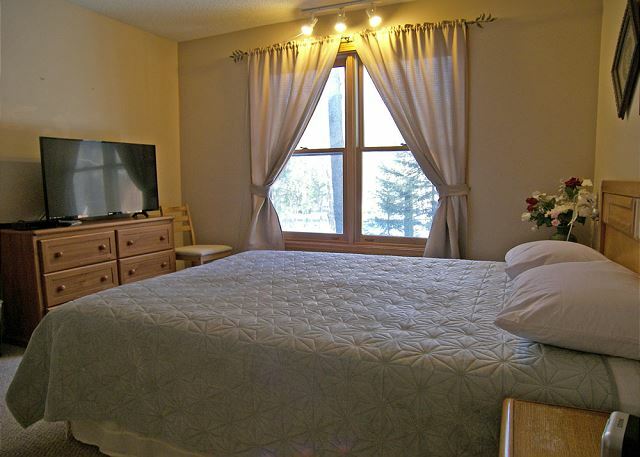 While to the right, you will find a second full bath and two additional bedrooms. 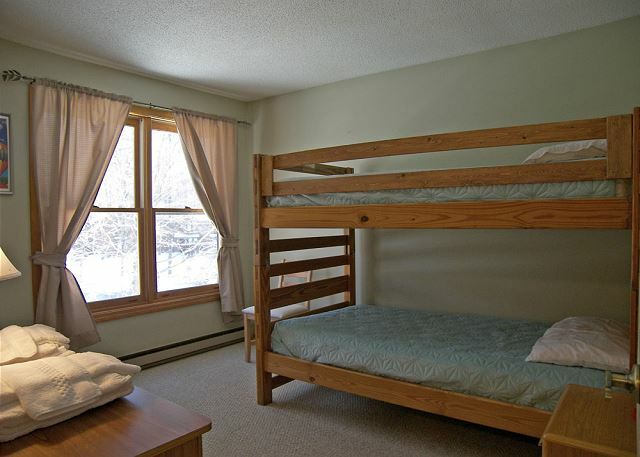 One of these bedrooms holds a queen bed and offers a river view, the other bedroom has a set of bunk beds. 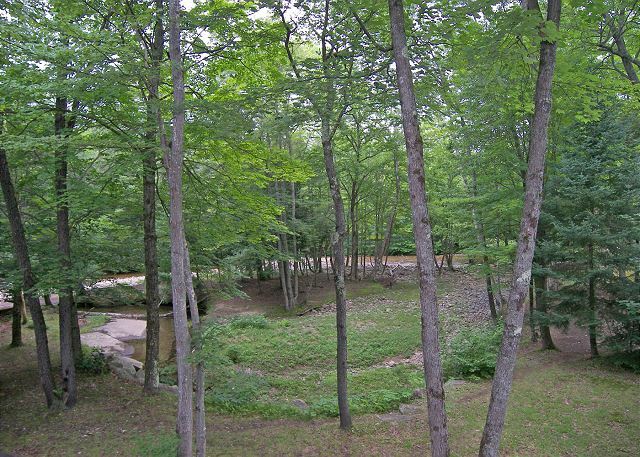 Make sure to spend time at Deer Park’s Indoor Pool and Fitness Center or on the private lake-front sandy beach. 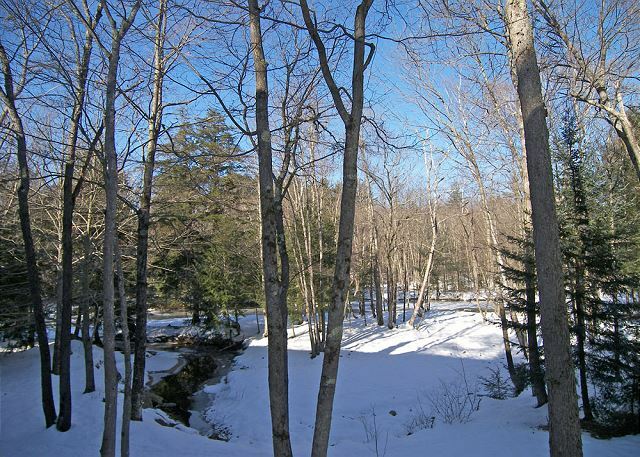 Throughout the local area you will find plenty of seasonal and year-round activities to fill your time including shopping, golfing, mini-golfing, amusement parks (including a local waterpark), gondola / tram rides, natural attractions, alpine skiing and snowboarding, Nordic skiing, snowshoeing, hiking, mountain biking, river swimming, kayaking, bird watching and much more. The condo had everything we needed for our Columbus Day weekend. The location was convenient to everywhere we wanted to go. The only issue we had with the condo is that the entryway had a very unpleasant smell. It may have been the trash from the previous tenant was kept there, or possibly an animal had perished in the walls of the condo. It was unfortunate because every time we entered the smell would permeate into the condo and linger. Thank you for your comments. The homeowners as working with the association to resolve that odor.